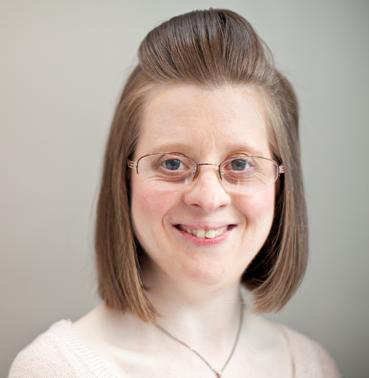 Jen Blackwell is Creative Founder and Director of DanceSyndrome. Jen has Down’s syndrome but at no point has that got in the way of her aspiration and determination. Ever since leaving mainstream school she wanted to be a community dance worker, but after more than 10 years of searching she never found appropriate training. In 2009 DanceSyndrome was started and in 2010 Jen found 14 dancers to work with, half of whom had learning disabilities. Together they have grown into a dedicated, inclusive group of learning-disabled Dance Leaders. In 2013 DanceSyndrome became a charity. Jen is living a fulfilled life, immersed in her passion for dance. She does so alongside other dancers with learning disabilities who also have opportunities to explore their gifts as leaders, dancers, team players, soloists and contributors to society. In doing so, they become role models for others. Jen is now a well recognised and respected role model and this has been recognised through a number of awards. In September 2015 Jen was thrilled to win “Inspirational Woman of the Year” at the Enterprise Vision Awards 2015. Jen has gone on to be included in the Shaw Trust Power 100 2018 and was chosen as the recipient of the Prime Minister’s Point of Light Award in October 2018. Jen said “Dancing is my life, I am passionate about dance and about supporting people like me to have opportunities in the dance world. Winning awards shows that people with learning disabilities can do amazing things with their lives if given a chance”.